"Co-working is an integral part of innovation and collaboration, places not just to work, but to generate new ideas and opportunities"
Barnstaple Work Hub is a growing community of friendly and flexible work spaces, perfect for home-based and mobile workers, freelancers, business start-ups and entrepreneurs. Includes great unlimited free coffee! There are 9 individual offices which can be rented by the month on flexible terms, as well as 6 open plan ‘Hot Desks’ that can be rented by the day. Each office and desk space has access to super-fast fibre broadband, wifi, printing and our communal lounge area. And of course, free, freshly made coffee. It doesn't matter what kind of business you run, whether you are freelance, self-employed or the CEO of a global enterprise, you can use our facilities. You'll find a warm welcome too. We all know it's not easy to meet new clients and people to work with who think like you do. So take the pressure off. When you work with us you'll meet lots of new people. See you at the water cooler! Overheads? Don't worry about those. Our job is to take care of the heating, lighting, internet and cleaning. It's all included in your rent. All you have to do is make your business a success. And we can help with that too! If you work at home, there's no need to worry about what kind of impression you'll make on new clients. Our facilities will show them that you mean business. The meeting room is light, airy and fully kitted out so you can do the deal without bothering with the dishes. We have 6 flexible hot desks bookable by the day/week/month . You can also book a regular slot if you know you’re going to be in town - or you could even rent a desk more regularly to have your own home office from home. Oh and did we mention that the coffee is free too? Who is at Design Space? 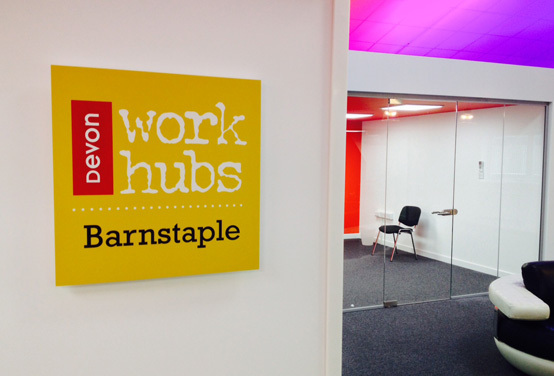 Barnstaple Work Hub is based in The Design Space in Barnstaple. As well as offering space for flexible working, we also have several permanent residents. You could join them too. CLICK on the logos below to find out more about our resident businesses. Okay, whilst we’ve scooped lots of shiny awards for helping our many thousands of lovely customers sell homes quickly, for the best price - in truth, they count for nothing. Every shiny suited agent under the sun will bore you with how good they are. To us, all that matters is what customers - nice people like you - think. So we’re chuffed to bits that on the independent customer review site Trustpilot, our house sellers, landlords, tenants and buyers have rated us ‘The UK’s Most Trusted Estate Agent’. You see, we do things differently and we know what works. Because we’re really good at selling, we even offer our ‘Happy Sale Guarantee’. That means there’s no contract handcuffs. If we don’t sell your home, or you’re not happy, you can walk away at any time and it won’t cost you a penny. Welcome to Mark Walker Financial Services. As a Professional Independent Financial Adviser, I specialise in providing financial advice to clients on a wide range of financial matters. My aim is to work with you to identify financial solutions that best match your needs. I am confident that the attention I give to you adds value and peace of mind. 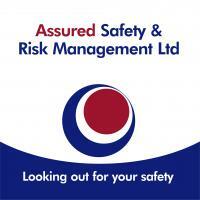 I am based in Barnstaple North Devon but have clients in many parts of the UK. My services range from complete holistic lifetime financial planning, down to a single piece of advice. You may have a lump sum to invest, or have an existing investment portfolio which you have not had reviewed for a while, you may be about to retire and require pension and retirement options or you may have a young family and require family protection. All these areas I aim to help you with. I also provide ongoing service propositions that are designed to help you achieve both your current and future goals. Whether you're an established long term business or a grass routes start up, we can help you do things smarter, we're fun to work with but we don't forget to deliver serious results. We love launching new stuff and seeing our clients flourish, so get in touch and lets drive your business forward, together. We are Design Shop - an established, independent company based in Barnstaple in North Devon. You may already know us as The Sign Shop. We have ‘rebranded’ and changed our name because we now offer much more than just sign making. In fact, we now offer design, and interior design and build services, as well as branding and print services. So we are the same people, offering the same great customer service, but with more to offer all round. We are just as passionate about great design and branding that has an impact as we always were and firmly believe that our clients’ image is everything. Thanks to our experience – we’ve been going for 25 years now – we are able to understand our clients’ needs, the materials we work with and the financial limitations of each job we undertake to come up with ever more creative answers. We aren’t afraid of a deadline either. We are lucky enough to live in a beautiful part of the world; and like to do all we can to keep it that way too. That means we consider the impact of our products (both environmentally and aesthetically) within their intended environments - to provide the most durable and practical solution to suit your requirements. Pop in next time you are passing. We’ll be happy to show you some samples of the materials we work with, talk through how we can make it happen with the budget you’ve got and how we can give you the very best value for money in design, branding, signage and commercial interiors. The coffee is always on! Ocean Healthcare is a nursing agency specializing in the supply of agency nurses, support workers and HCAs to nursing homes, residential homes, hospices and private hospitals throughout Devon. Originally started in October 2013, Ocean Healthcare has grown to become a key provider of healthcare staffing support in the local area and now has locations in Torbay, Plymouth and Barnstaple. Our philosophy is simple. We serve our customers well by providing them with well-trained and sufficiently experienced healthcare workers who can hit the ground running when they arrive on shift. We serve our healthcare workers well by providing them with flexible work opportunities. All of which is underpinned by honesty, mutual respect, clear communication and never losing focus that ultimately we are helping to ensure vulnerable people are well cared for. We take care seriously at Ocean Healthcare and this is overseen by our own clinical lead and experienced nurse manager. We also employ our own professional trainer who delivers high quality training specifically tailored for healthcare workers providing temporary staffing support in multiple locations. The Training Alliance have always focussed upon the teaching of numeracy and literacy skills. We believe that the key to success for our learners, is to ensure access to high quality support and training materials. Learners have been supported by The Training Alliance from innumerate backgrounds: pharmaceutical workers, forklift truck drivers, bus drivers, driving instructors, call-centre staff, construction workers, plumbers, teachers, welders… the list is as varied as the areas we deliver our courses in! Our courses have been delivered to learners from Newcastle to London, Norwich to Wrexham, Weymouth to St Ives and even further afield! Our tutor network operates on a national basis delivering courses as required by our learners. All our staff are qualified tutors and teachers with years (in some cases decades) of experience in dealing with basic skills in maths and English. The team at Baileys Law LLP have chosen to work together through mutual respect and knowledge of how each individual works. Our goal is to strive to be the best Criminal Defence firm in the area and beyond. We maintain the highest standards of integrity and excellence and will forcefully defend all our clients without fear or favour. Copyright ©2019 Barnstaple Workhubs. All Rights Reserved.